Use the Staff List to perform a search of the entire StaffMap project. All employees and assets are included in the search. Enter search terms in the Staff List search field. Enter partial or whole search terms, like the letter 'M', to bring up a list of staff or assets that contain that search term. 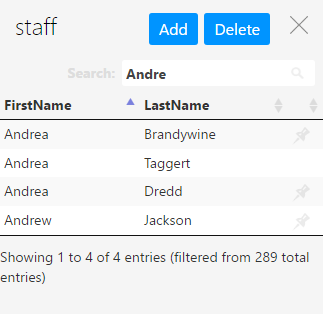 Select an employee to display employee details. 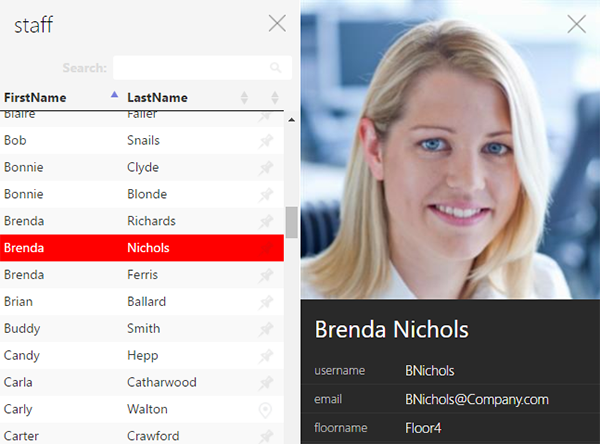 Select the pin icon next to a name to zoom directly to an employee on a floorplan or map.